Commercial Lease Agreement. Immediate Download. Risk Free. Commercial Lease Agreements for use when leasing commercial property. Included are lease and sublease forms, lease extension and termination agreements and an occupancy agreement. Applications are also included for commercial leases and subleases. Commercial Lease Combo Packages Get 8 forms for just $39.95. Save 75%! Save money by getting our most popular commercial lease forms together in one convenient packet. Leasing commercial property definitely fits under the umbrella of “high-risk, high-reward” scenarios. After all, leasing a residential property might mean you earn $1,000 per month from one piece of property. Leasing a commercial property can mean you’re responsible for a lot more money than that – and you’d better be on top of your game if that’s what you’re going to manage. But what if you’re coming at it from the other angle – the person looking to lease commercial property in order to have an office presence that fits your company? Either way, you’ll want to know more about commercial leases than you already do, which is why this handy insider’s guide should shed some light on the subject. Reading the Whole Thing Before you ever sign anything, it’s important that you read the whole thing – and this goes for both commercial tenants and commercial property managers. After all, the commercial agreement you both sign is what’s really going to govern your relationship for the near future. What isn’t on the paper might be part of an agreement, but it will be more difficult to prove a verbal agreement. That’s why the entire lease agreement should be present in the written commercial lease form. And that’s why you’ll want to know every part of the agreement you sign – and make sure you have a copy for your future reference, as well. Oral agreements and written contracts can sometimes have the same authority under law, but what’s great about a good commercial leasing contract is that it’s easy to prove its validity should some quarrel arise. That’s why you want to make sure that any promises you agree to – from either end of the commercial leasing spectrum – are included in the commercial lease form. Download a commercial lease form with a degree of customizability and this should be no problem for either of you. The key to a successful commercial lease is communication that’s backed by action. A commercial tenant should live up to his end of the bargain by paying the rental terms on time – the property manager should also live up to his end of the bargain by following through on their written responsibilities. This foundation of communication and trust doesn’t only boil down to the actual written contract, but the effort made by both parties to uphold this written document. Because these commercial lease forms essentially form promises that are made by each side, it’s a good idea to use the lease terms as a standard of behavior in this relationship. The property manager should fulfill all of their duties and the commercial tenant should fulfill all of theirs. In a properly-written commercial lease form, these duties will be clearly defined. The more you read your commercial lease (and it can help to read sample commercial leases online), the better you’ll understand exactly what it is you’re getting into. As they say, knowledge is power. In the life of any business, it’s one of the most important contracts to sign: the agreement that governs the monthly rent they’ll be paying to host their offices at the location of their choosing. It’s an even more important document for the property manager that sells these leases to businesses; after all, ensuring not only that they’re able to fill their office space but that that office space is protected and that payments are guaranteed is essential to running their property in a profitable, effective way from day-to-day. That’s why it’s so crucial that property managers craft a commercial lease that is both thorough and grounded in solid legal language. 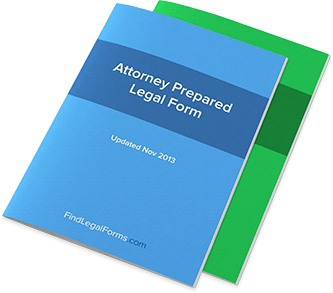 And if you want to learn how to do this, you’ve come to the right place: here at FindLegalForms.com, that fundamental grounding in legal parlance is our specialty. Here’s how we craft our commercial leases for you to download, and here’s how you can understand the document for yourself. Many people forget that one of the most important pieces of any legal document is to lay out definitions. Defining the beginning and end date of the commercial lease, for example, might seem like it’s an unnecessary part of the equation (given what both parties have both been able to discuss already), but putting these numbers into official writing is crucial. Definitions will also include defining who occupies which roles (such as lessor or lessee) and what their responsibilities would be for the duration of the lease. For example, anything that goes wrong on the property would need to be handled by the manager, generally – but it’s only once this has been put into writing that this will actually have the enforcement of law behind it. Keep in mind how important definitions are and you’ll understand a lot of the language that goes into crafting ironclad commercial leases. Crafting the terms and conditions of your commercial lease will require a fundamental understanding not only of how most commercial leases work, but how you want to run your business. Every commercial lessor is free to draw up many of the terms and conditions they subject the lessees too – it’s a matter of personal policy. And while there are certain government regulations you’ll always have to follow, it’s important to remember you’re free to set your own conditions as long as they’re legal. Creating these terms is usually not the problem for property managers – finding the right legal wording is. That’s why sites like FindLegalForms.com can be so useful – they help you understand how this wording works and even give you templates that take that language out of your hands. Many people know that there can be both major and minor costs to doing business. On the “minor” side, you have pens, paper, various office supplies, and handling the most mundane and routine expenses you face on a day-to-day basis. On the “major” side, you have labor costs, taxes, and without a doubt, your commercial lease. A commercial lease is an agreement between two parties, similar to a private real estate lease, in which one party agrees to use the space for doing business. A commercial lease will affect a piece of property that is in a business or commercial “zone,” according to local regulations and zoning maps, and will be under the regulations of both the state and local ordinances for doing business. Subsequently, a commercial lease can often be as complicated if not more complicated than a simple apartment lease. Let’s take a closer look into commercial leases and see what we can find out. One of the first things to understand about a commercial lease is that, in many ways, it’s similar to other leases. If you were to lease an apartment, for example, you would similarly fill out information regarding the dates of the lease, the expected amount of rent paid each month, and the terms of the lease. That is essentially what goes into every lease form, whether you’re talking about a commercial lease, a car lease, or an apartment lease. So what really makes a commercial lease all that different from the other types of leases you come across? Well, the amount of money you can expect to dole out every month, for starters. But there are a few other tweaks and differences you’ll want to be aware of. For example, a commercial lease will let you know when it’s your responsibility to make sure that the space you inhabit is up to code in terms of local ordinances and state regulations for commercial zoning. This isn’t always a difficult thing to handle - in fact, the person you’re renting the office space from might be able to handle it for you - but it’s something you’ll want to be aware of. A commercial lease might also require some things of your business - for example, they want your business to carry out the type of business you say you’re going to carry out, and nothing more. Some commercial properties are not able to offer the kind of commercial space for various services because they’re not up to code for these services. You wouldn’t open a bakery in an office building, for example, but a retail center that would be able to support the kind of business you plan on running. Be sure to read through your commercial lease or simply check out a sample commercial lease form to get an idea of what you can expect out of these documents - we promise it isn’t as scary as it sounds. What are Commercial Leasing Forms? When you’re running a business and business is good, it’s typically time to upgrade your space. You’re hiring new employees, you’re adding new machines or workstations, and you simply need a place that can actually fit all of your newfound growth. It’s a necessary part of growing as a business, and that means you’ll have to sign some - well, necessary paperwork. Signing paperwork is no one’s idea of fun, but when it comes to commercial leasing forms - those same forms that will help you upgrade that space we were talking about - you’ll definitely want to give it your full attention. Why? Because commercial leasing forms are among the most important forms you’ll fill out for your business. They represent major commitments (after all, commercial real estate does cost a pretty penny), and they represent a new expense that your company is going to have to fulfill. So let’s take a closer look at these forms and understand exactly what to expect. One of the first things you’ll spot on a lease form is what the agreement is actually for - in terms of dates and real dollars. Many forms will have blank spaces where details can be filled in. For example, a default commercial lease form might have a blank space where a company’s name - in this case, your company - needs to be filled in. In some commercial spaces, they might simply write up new forms every time, but other office spaces might also use these easy-to-print forms. You’ll also see the details like the expected dates of the lease - the beginning to the end - and then the amount of money you’ll be expected to pay each month. The rest of the lease will essentially deal with the terms of the lease - what the property manager expects from you and what you can expect from the property manager. Depending on the type of business you run, you might also expect to see some details about the specific type of business you’re limited to, although many property managers will give you a tremendous amount of leeway in this regard; they’re often happy that someone is simply doing business in their property. This is where a commercial leasing form can get very long and very wordy, but stick with it and even take the lease home with you and take notes, if you like. Understanding things in plainer language can be a great way for you to figure out exactly what’s in the lease and actually remember it, which can be a major challenge for a great deal of people. In many cases, you’ll already be aware of what’s in the lease because a property manager is very informative and all of the negotiations have been handled anyway. Should you sign on the dotted line right away? Of course not! Simply read it over yourself and make sure everything as the manager said it would be. Once a commercial lease form is signed, the company is ready to move in and conduct business. And their first month of rent may be due already! Understanding the concept of a sublease is a relatively simple thing: when you have a lease of your own and you rent out part of that property to someone else, you’re “sub-leasing.” But when you introduced the “commercial sublease” aspect into the mix, suddenly things don’t seem so black-and-white. Why? Because commercial property is generally harder to manage than residential property, meaning that if you’re going to be subleasing a part of your office to someone else, then you’re essentially taking on a difficult management position. But that’s exactly what articles like these are for - to shed some light on processes like commercial subleasing. Let’s explore some of the common pitfalls and errors some commercial subleasers make, as well as the areas where you can really make things easy on yourself. One area to make sure that you handle well is having all of the proper commercial subleasing forms and agreements signed in advance of when the commercial subleaser is to move in to their space. These are not only necessary, but should be considered an absolute must before any type of commercial arrangement is to proceed. For example, if you have a commercial lease and are subleasing it to a friend, you don’t want to let them move into an office before you can get them to sign all of the necessary contracts and agreements - you’re not even sure if your property manager has approved of this sublease yet! You have to be on top of things both legally and officially, and you’ll want to handle paperwork before action. It’s the way of the world these days. Having these agreements and forms in hand is so important because it will commit the subleaser to a certain amount of responsibilities - if these responsibilities are not met, then you have the legal right to pursue, for example, missed rent through the legal process. Without these in place, someone can essentially do whatever they want. If you have no way of proving any agreements took place, then you’re left out in the woods. The way to go about handling a commercial subleasing agreement, then, is to double-check them with your property manager first, to draw up the necessary paper work and forms for these subleasing agreements, and then to allow someone to move into the new office space. It’s important that you have all of the details hashed out before the agreement is signed, because you don’t want to tack on any new requirements after the fact. Make sure that rent to be paid and rent due dates are all part of the commercial subleasing agreements and that they’re adequately signed by both parties. Once you have all of the logistical issues in place, there should be no problems upon the duration of the sublease. It’s important that you make sure to be on top of collecting rent as well as all other duties that you are bound to as per the subleasing agreement. If all goes well, you can generally sit back and enjoy the additional revenue every month!